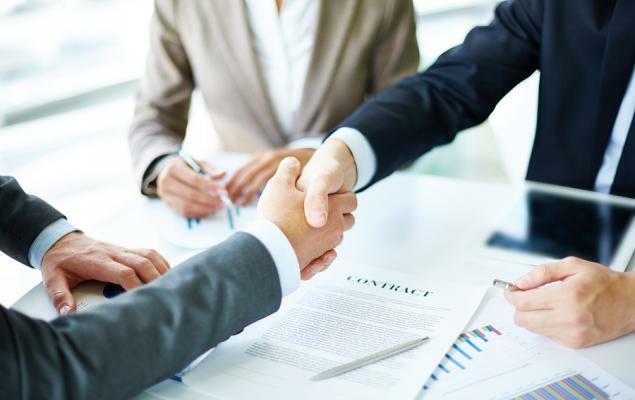 The consulting services industry comprises companies that offer professional advice in management, IT, human resources, environmental regulations, logistics and marketing, real estate, among others. The industry has been enjoying a steady rate of revenue, profit and cash flow growth, enabling most industry players to steadily increase dividends. Thriving manufacturing and non-manufacturing activities on the back of favorable policies and higher corporate spending post the tax reform resulted in better business for consulting companies. On the flip side, consulting firms continue to have issues when it comes to attracting and retaining skilled consultants. Higher talent costs due to a competitive talent market coupled with Trump’s stringent policies on immigration are weighing on the industry’s performance. The Zacks Consulting Services industry, which is housed within the broader Zacks Business Services sector, currently carries a Zacks Industry Rank #111. This rank places it in the top 43% of more than 250 Zacks industries and indicates strong growth prospects in the near term. 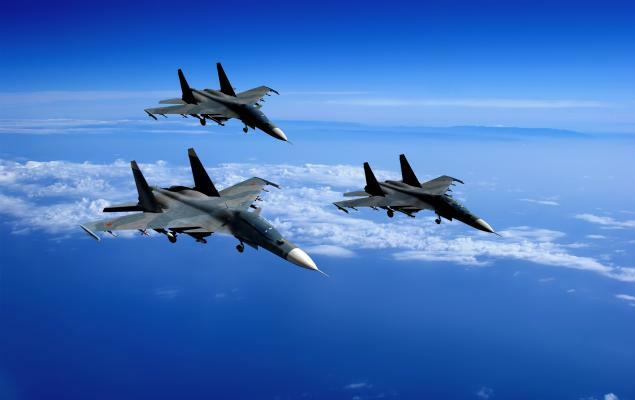 Given this backdrop, let’s do a comparative analysis of two consulting services stocks - FTI Consulting, Inc. (FCN - Free Report)	and Navigant Consulting, Inc. (NCI - Free Report)	. FTI Consulting has a market capitalization of $3 billion and Navigant’s market cap is $804.7 million. As both the stocks carry a Zacks Rank #3 (Hold), we are using certain other parameters to give investors a better insight. FTI Consulting has performed impressively on the bourse in the past year compared with Navigant and the industry. While FTI Consulting’s shares have surged a massive 57.8%, the same for Navigant dipped 1.1%. The industry improved 18.3% over the said time frame. Navigant’s 2019 earnings are projected to grow 89.4% year over year while that of FTI Consulting are expected to decrease 6.3%. Thus, Navigant has an edge over FTI Consulting in terms of yearly earnings growth. The earnings surprise history of a stock gives investors an idea of the stock’s performance in the previous quarters. FTI Consulting and Navigant have an impressive trailing four quarter earnings surprise history. FTI Consulting delivered an average positive surprise of 69.8% compared with Navigant’s 16.6%. Even though readings for both the companies compare unfavorably with the industry’s figure of 10.5%, FTI Consulting has a lead with TTM net margin of 7.6%, compared with Navigant’s 6.4%. Comparing the companies with each other and the industry on the basis of price to forward 12 months’ earnings, which is a commonly used multiple for the consulting industry, we see that Navigant’s 21.64X is higher than FTI Consulting’s 20.60X and lower than the industry’s 22.56X. So, FTI Consulting looks cheap compared with Navigant. 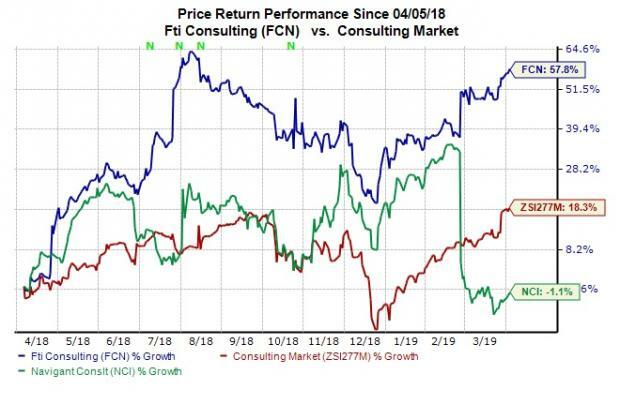 Our comparative analysis shows that FTI Consulting scores over Navigant in terms of share price performance, earnings surprise history and net margin. Despite a fast share price rally in the past year FTI Consulting ‘s valuation is cheap compared with Navigant. Some better-ranked stocks in the broader Zacks Business Services sector are Copart (CPRT - Free Report)	and Booz Allen Hamilton (BAH - Free Report)	, each carrying a Zacks Rank of 2. You can see the complete list of today’s Zacks #1 Rank (Strong Buy) stocks here. Long-term expected EPS (three to five years) growth rate for Copart and Booz Allen is 20% and 14.6%, respectively.